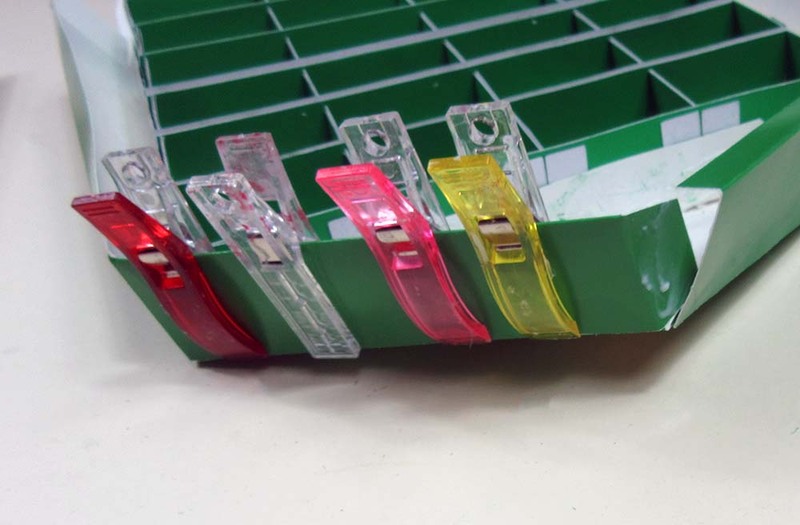 Medium-weight cardstock in whatever colour(s) you want to make the drawers in. Open a New Project and click on ‘Import Images’. 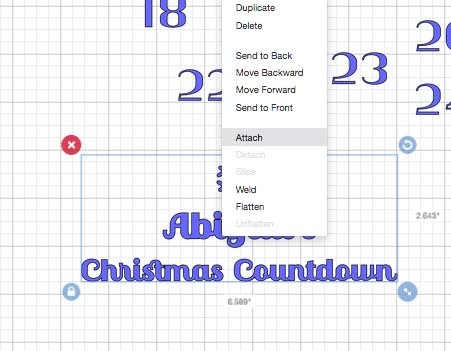 Choose the file you’ve downloaded – in this case it’s ‘adventcalendar.svg’ (or whatever format your machine uses!). Click on Save. Select the file you’ve just imported by clicking onto it until the border is green. 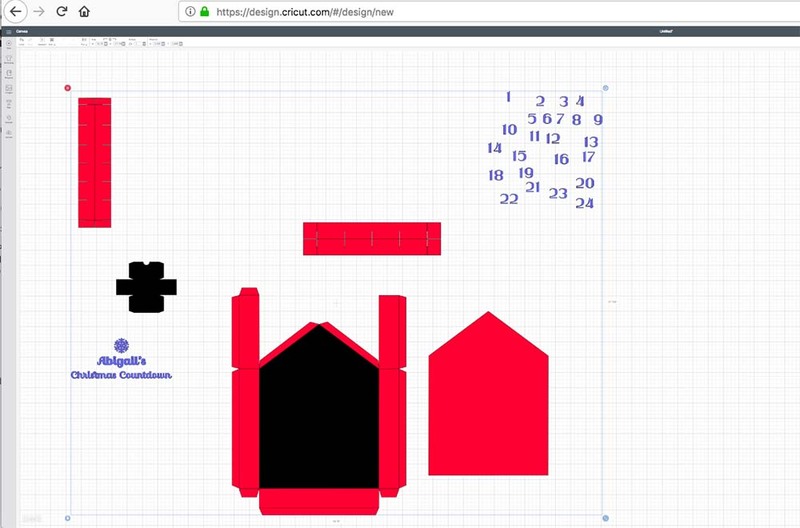 At the bottom-right of the screen, click on ‘Insert Images’ and it will appear on your canvas as shown: You’ll see there’s a border around the whole thing, which shows that the pieces are currently grouped (so we can’t do anything with them!). 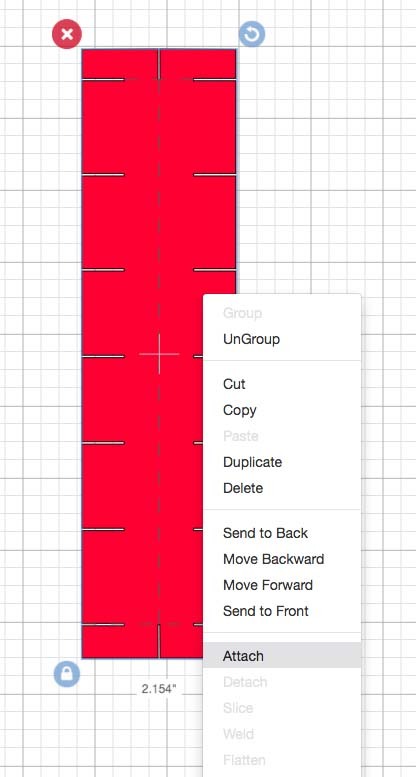 Select Ungroup (either by clicking on the Ungroup button at the top of the right-hand margin) or by right-clicking and choosing ‘Ungroup’ from the dropdown menu. To get it ready to cut, click and drag to select the whole piece, until a border appears around the piece (see below). Now, you need to click on Attach, either at the very bottom of the right-hand margin, or by right-clicking and selecting ‘Attach’ from the dropdown (you can see we’ve done that below). Our main piece is read to cut, so we can move onto the others. Click and drag over the piece so a border appears around it, and then either click ‘Attach’ (in the very bottom of the right hand margin) or right-click and select ‘Attach’ (as we’ve done below). 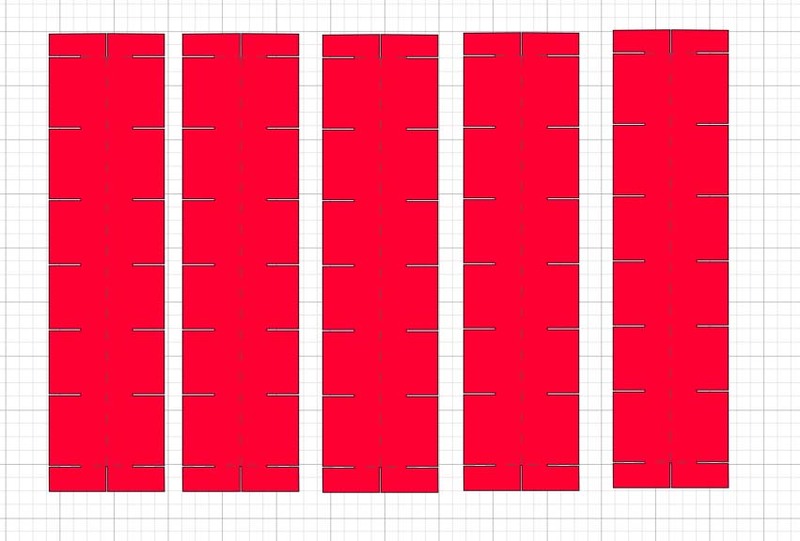 Repeat the process for the horizontal slat – convert the lines (you’ll have to convert five score lines on this piece though it looks more like three on the piece), ‘Attach’ and then copy and paste – this time until you have seven pieces as shown: Your slats are all now ready! Let’s move onto the box. Using the methods we’ve used in previous steps, click on the black rectangle at the centre and convert it to a score line. 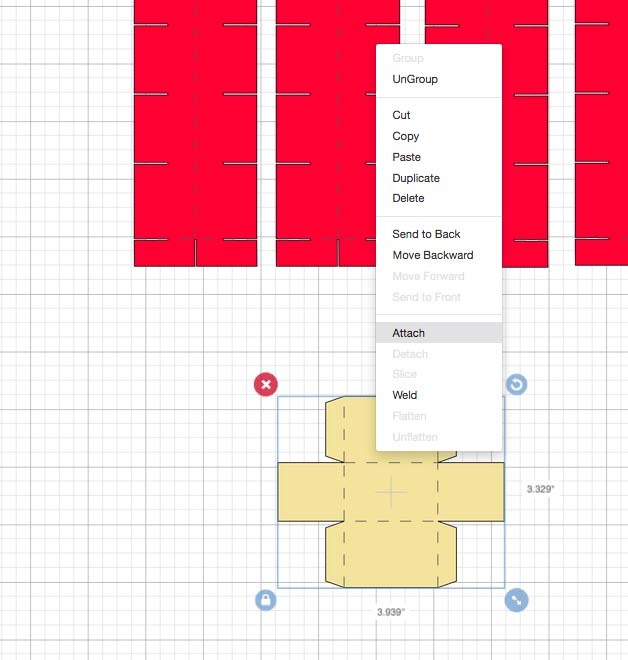 Convert the remaining four lines on the box to score lines, and then click and drag over the piece: Select ‘Attach’, and your box is now ready to cut! However, you’re going to need 24 of them, so (as we did for the slats in step 11), copy and then paste 23 times to create them! You’ll then need to drag them around the canvas a bit so things are more orderly! 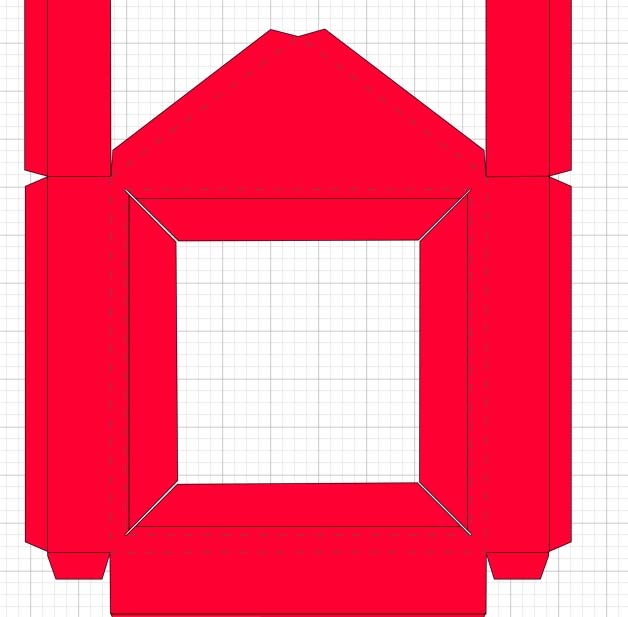 Please note: in this version, all of the boxes will be cut on the same colour cardstock. If you want them to be different colours (for example, we did 12 in red and 12 in white, to create a ‘checkerboard’ effect), then you can change them by clicking on a box and – where the box is highlighted in the right-hand margin, click on the cream-coloured circle. This will bring up the Layers Attribute again and you can choose a colour from the squares and click on it. We can now move onto the vinyl pieces – the numbers and the message. Currently, they’re all grouped together and will cut all mangled up. If you proceed. Now, we need to turn our attention to the numbers. We need a number for each door – so we don’t need them to print exactly as shown (as they would if we clicked on them and attached them all) or even in any particular order – APART from the double-digit numbers, i.e. 11 onwards. 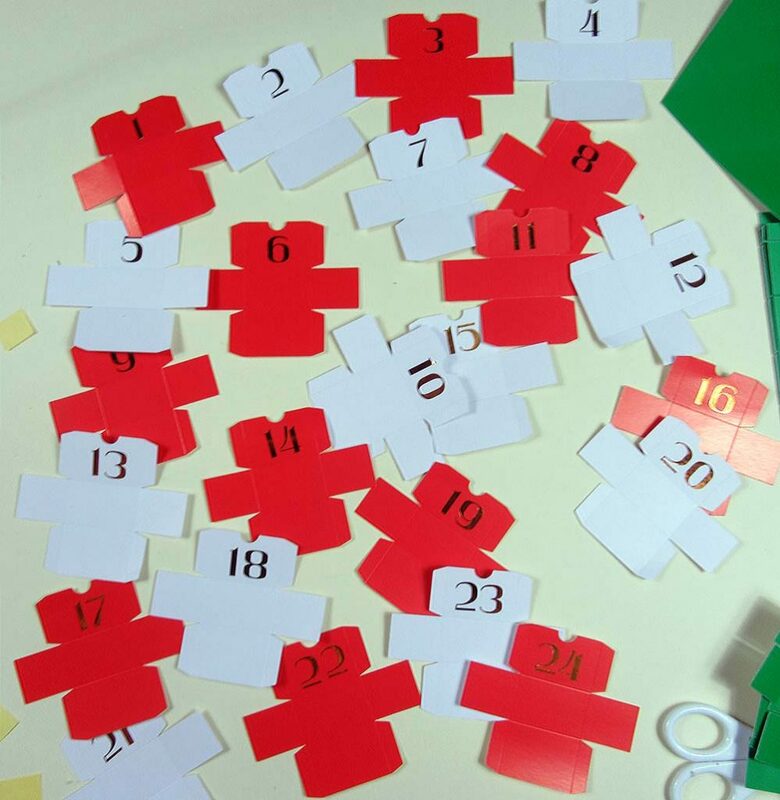 So – we really just want all of the double-digit numbers to cut as single pieces. Click on ’11’ and select ‘Attach’ (in the right-hand margin or by bringing up the dropdown menu by right-clicking). Repeat for all numbers from 12 up to 24. In a rather random order (so don’t expect it to be boxes first for you, necessarily!) 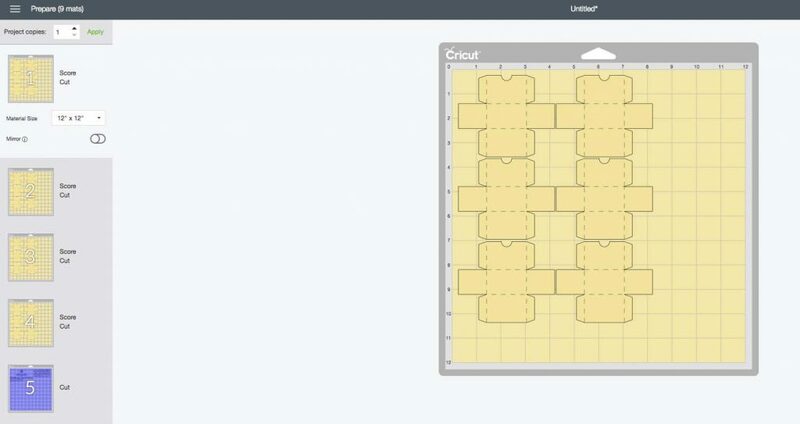 your Cricut will now show you a mat with pieces ready to cut: At this stage, you can make sure you make best use of your paper by either altering the material size (if you’re cutting on a larger piece of card) by going to the left-hand margin and clicking on the box’ that says ’12″x12″. 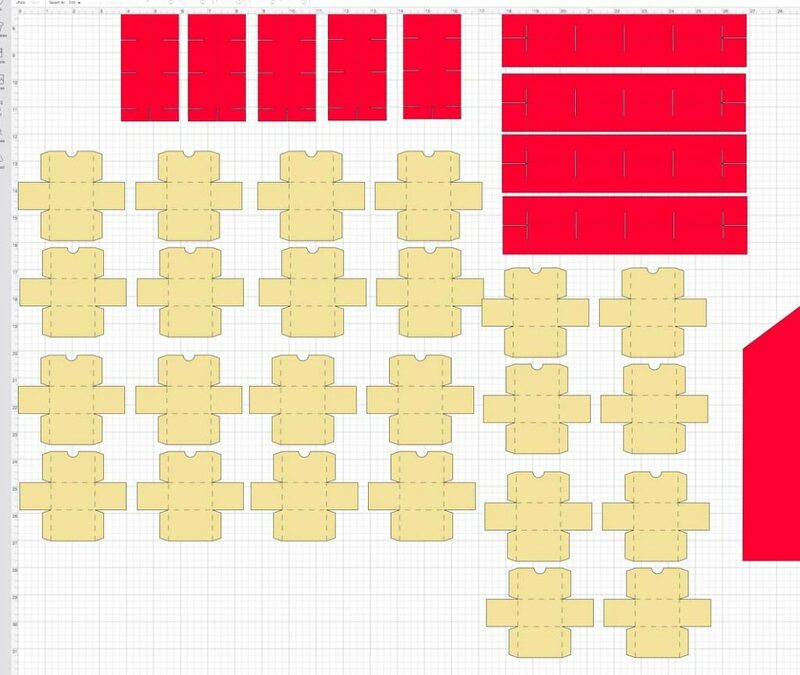 You can then select the size most close to the cardstock you’re using. You can also move the pieces around by clicking on them and either dragging them or using the buttons on the screen to rotate them. You’ll get on-screen instructions from here on, letting you choose your cardstock and pressure, and then, depending on that, which knife or blades to use. 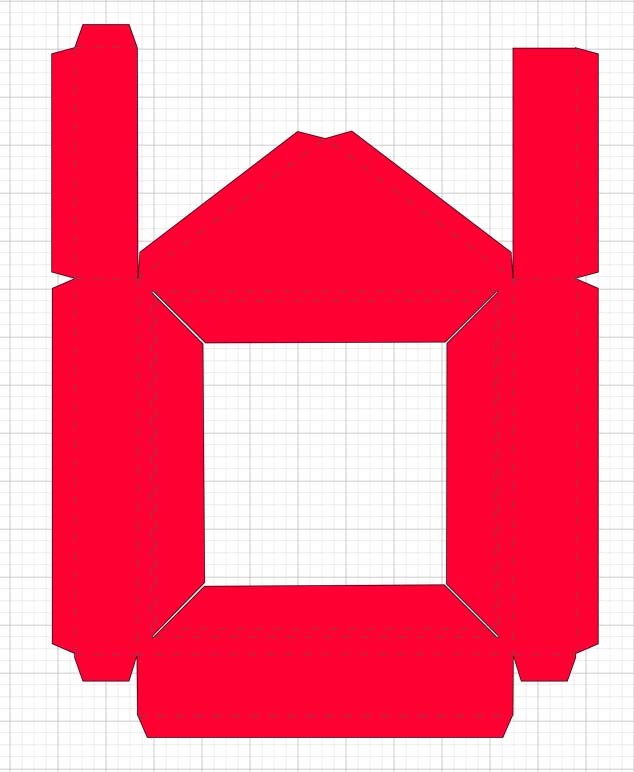 For this design, you’ll need to use a scoring tool (I used the single scoring wheel). 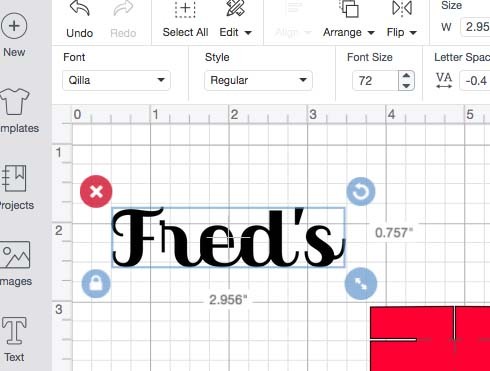 If the Cricut chooses a tool you don’t have, then click on ‘Edit Tools’ and choose the tool you do have – e.g. this may be the case if you want to use the Scoring stylus rather than the scoring wheel, which Design Space now seems to suggest as default. Quick troubleshooting tip: If there are ‘loose’ score lines on one of your mats you’ve forgotten to attach something along the way. Once cut out, your calendar will look like this. In my case, I’ve chosen to do red and white drawers, so I’ve got twelve in each colour – though you can choose patterned paper or any arrangement of colours you like! As you can see, I’ve also cut all of the numbers so they’re separate, and have weeded (i.e. peeled the excess vinyl from!) those and the text/snowflake design. 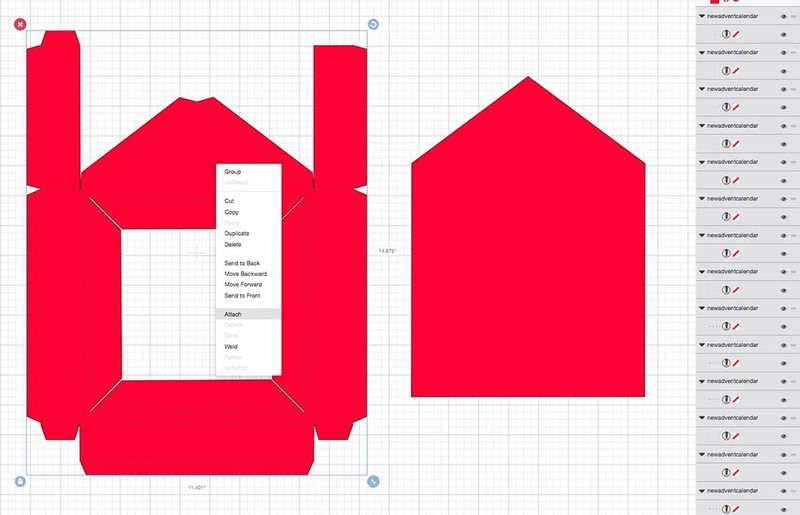 Take the large house piece, and the personalised vinyl part of your design (e.g. 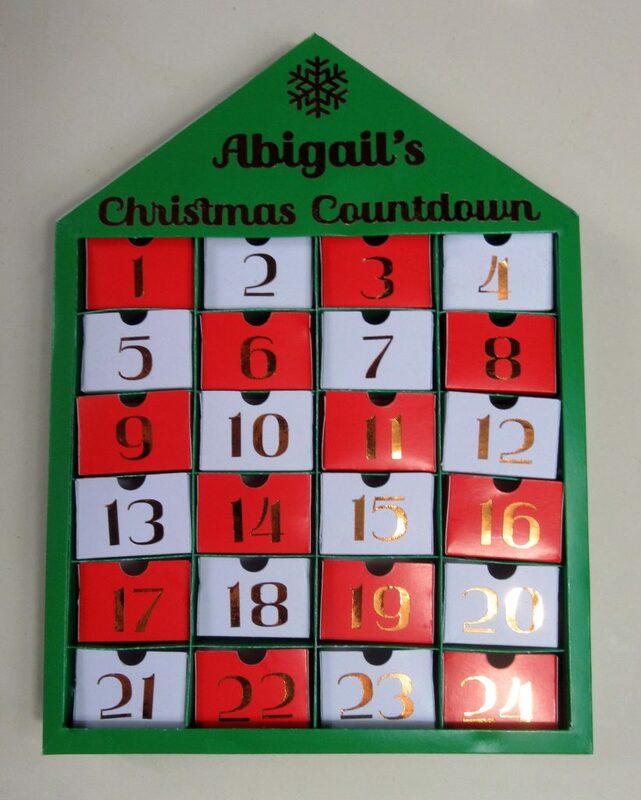 the bit with a snowflake that says ‘X’s Christmas Countdown’!) Apply masking tape (otherwise known as painter’s tape) to the top of the vinyl design (I find this much better to work with than transfer tape as it’s a bit less sticky (I recommend you stick and unstick it from a clean piece of fabric first to make it even easier to work with) and easier to position and line up. Peel off the backing paper. 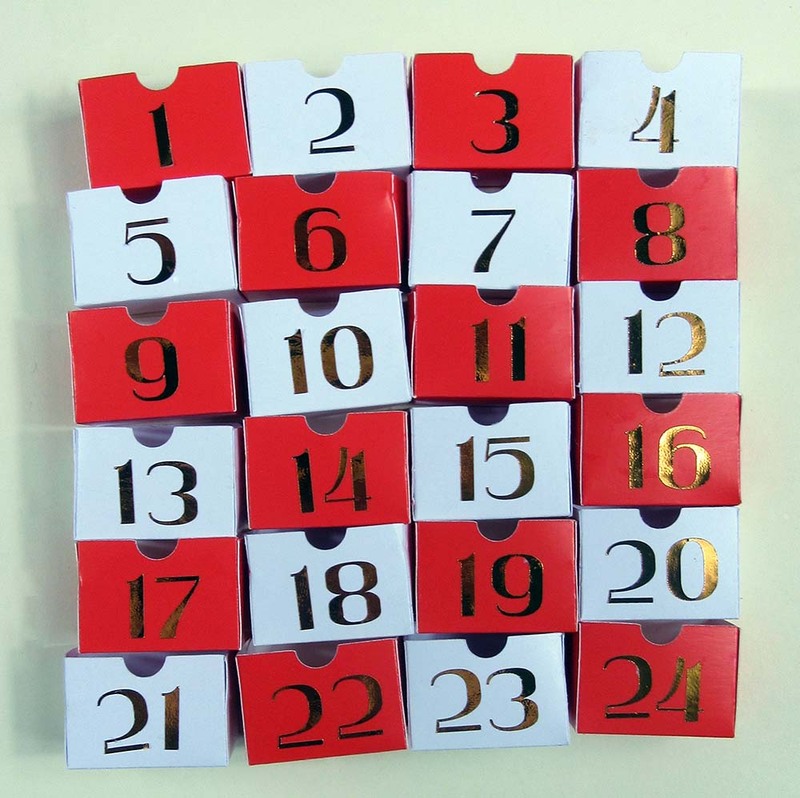 Taking care to centre your design, apply the design to the calendar as shown. Rub over the letters while avoiding applying pressure to the masking tape areas. Peel the masking (or painter’s) tape from the front carefully. 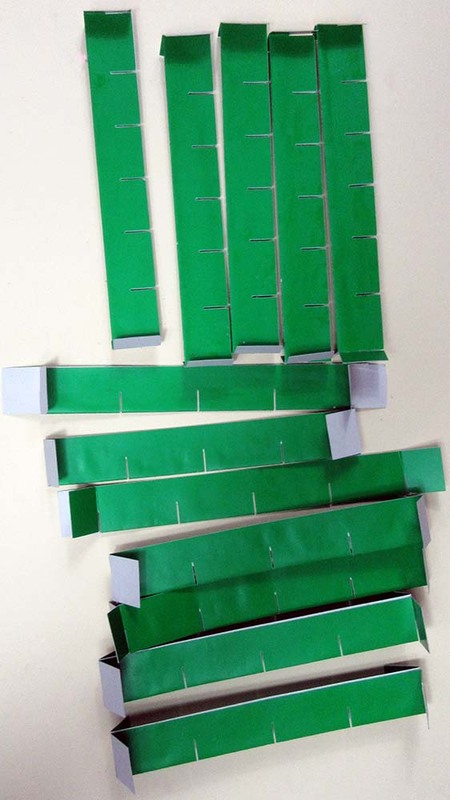 Now we can turn our attention to the ‘frame.’ Take all of the green slats – there are two types: some have slits in the middle, and some have slits at the sides that lead to the edges of the pieces. Divide them into these two groups. 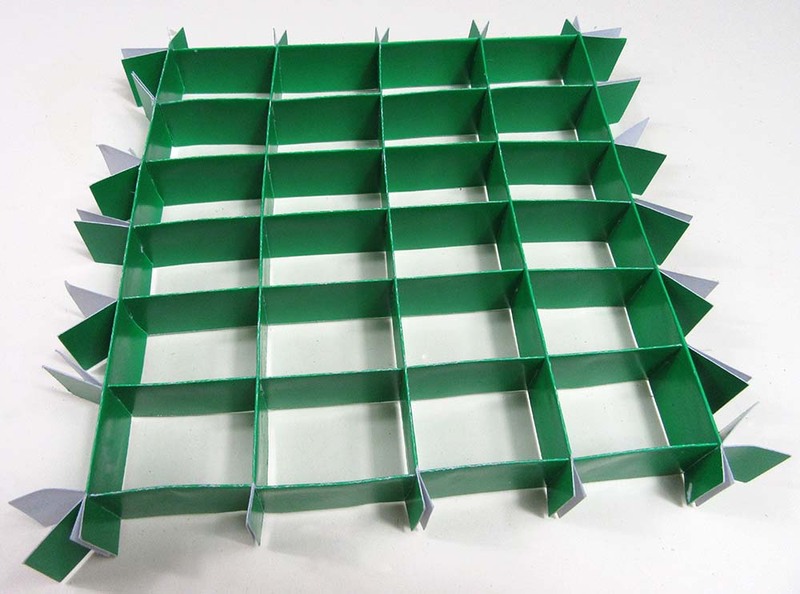 Fold each slat down the score lines (that’s down the middle, and then the lines at the far ends of each piece, to form flaps. 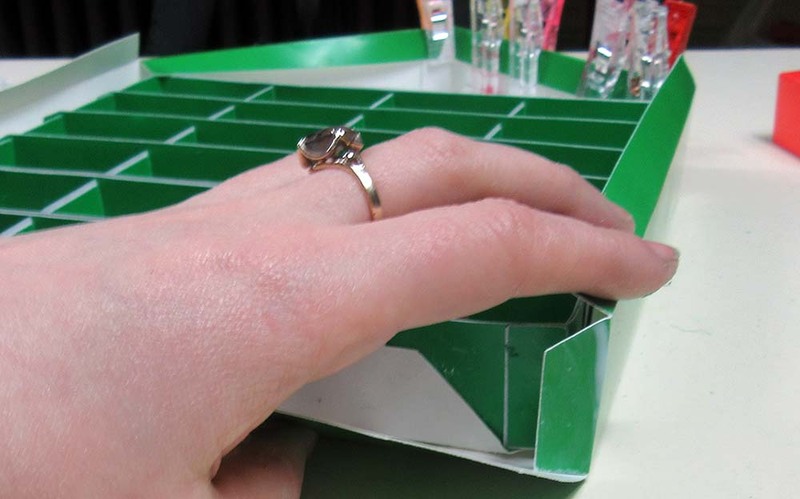 Apply glue to the inside of each piece – taking great care to not touch the flaps at the far ends. Fold lengthways along the line and place something heavy on it until it’s dried. Complete for each piece. You’ll end up with the following: The ones at the top are the VERTICAL slats (there are five of them), and the ones at the bottom are the seven HORIZONTAL ones. Take one of the vertical pieces and slide it on top of one of the horizontal pieces, joining via the slats at the middle. Carry on joining them up, adding the vertical pieces one at a time. 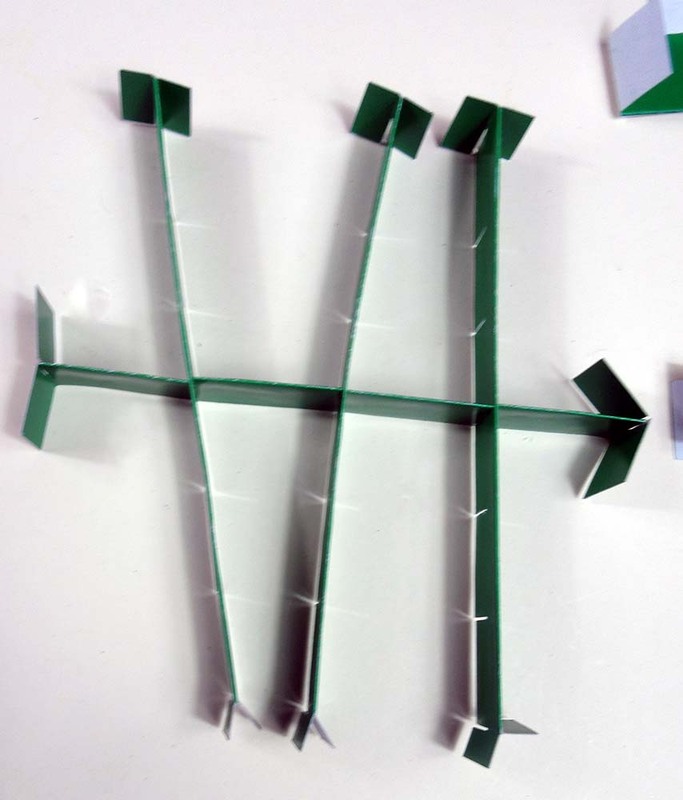 You’ll be sliding EACH of the FIVE VERTICAL slats via their CENTRAL slats to each slat on the HORIZONTAL piece you’ve chosen, til you have a ‘fishbone’ type structure. 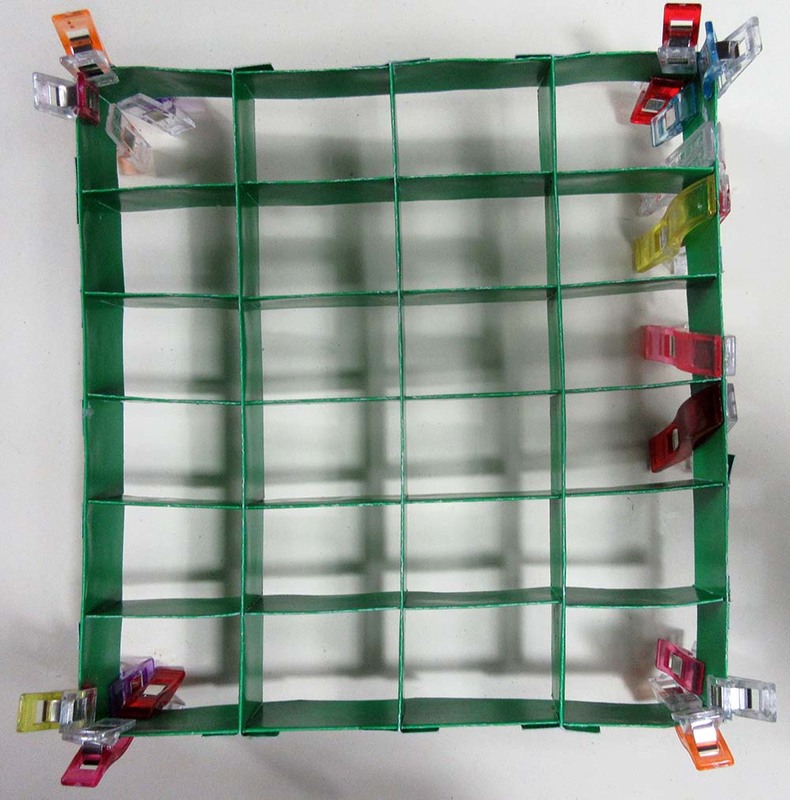 Now, apply glue to the end flaps at each side and open them up and stick them to the frame so that none of them are sticking out. (Here, again, wonder clips come in handy!) 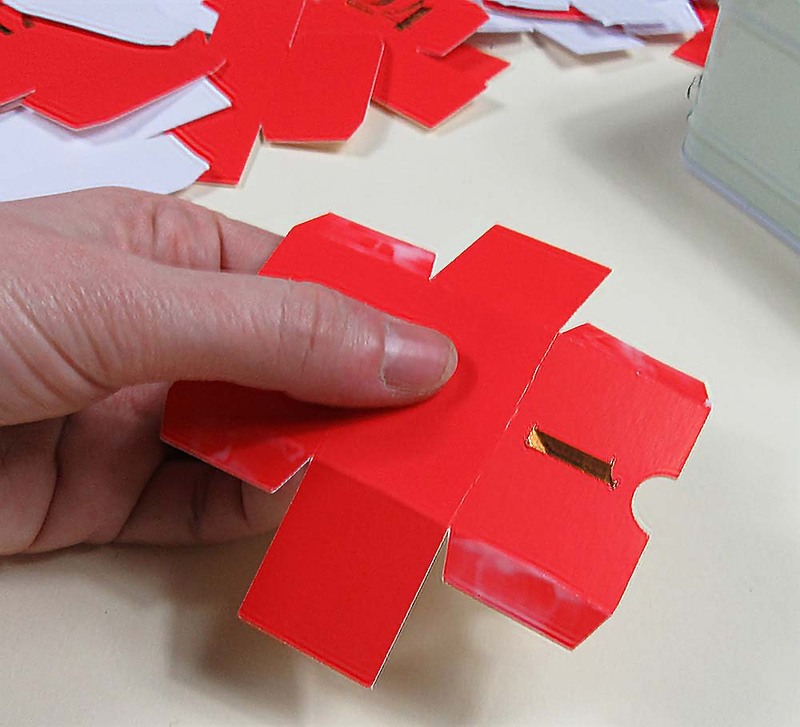 When you get to the corners, apply glue between the pieces that are alongside each other (so they form one piece, and then apply glue to a side before folding it around the corner. Hold (or fix with a wonder clip!). 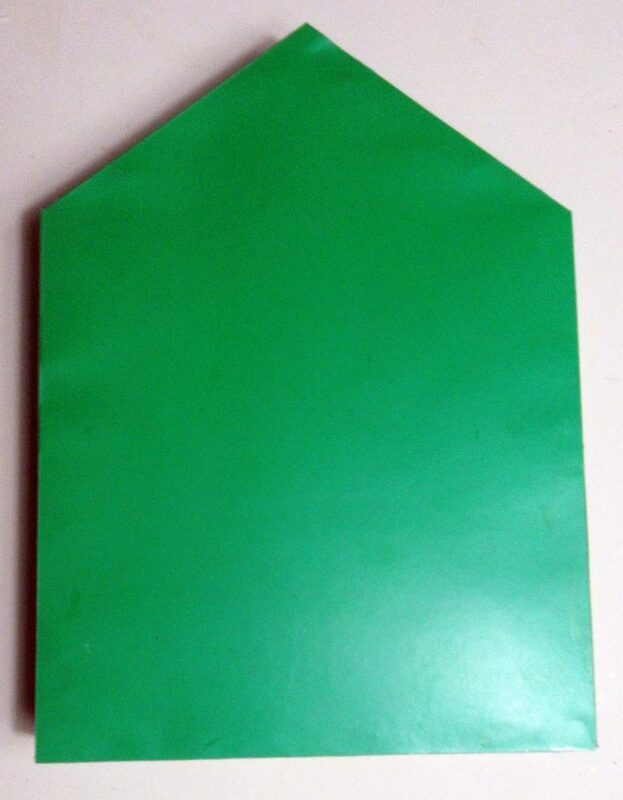 Do the same on the other flap (as shown above). When you finish, you will have a frame that has no flaps sticking out of it. 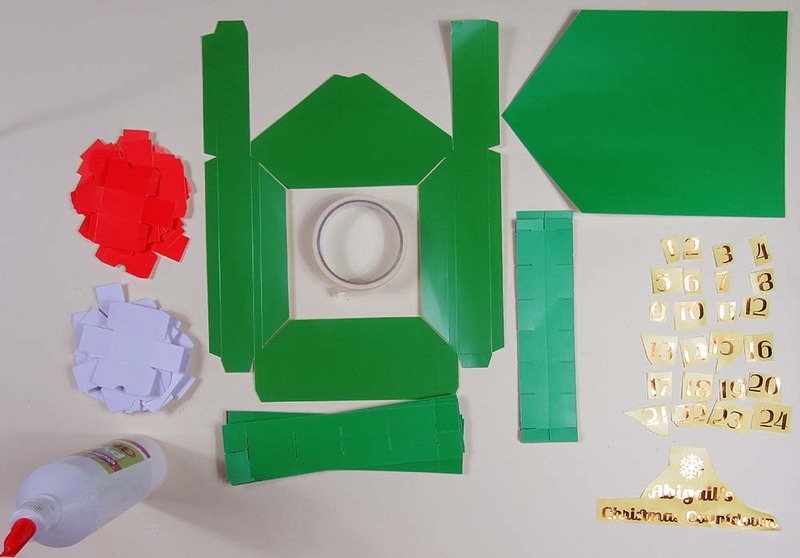 Take the other green piece (the house-shaped one). 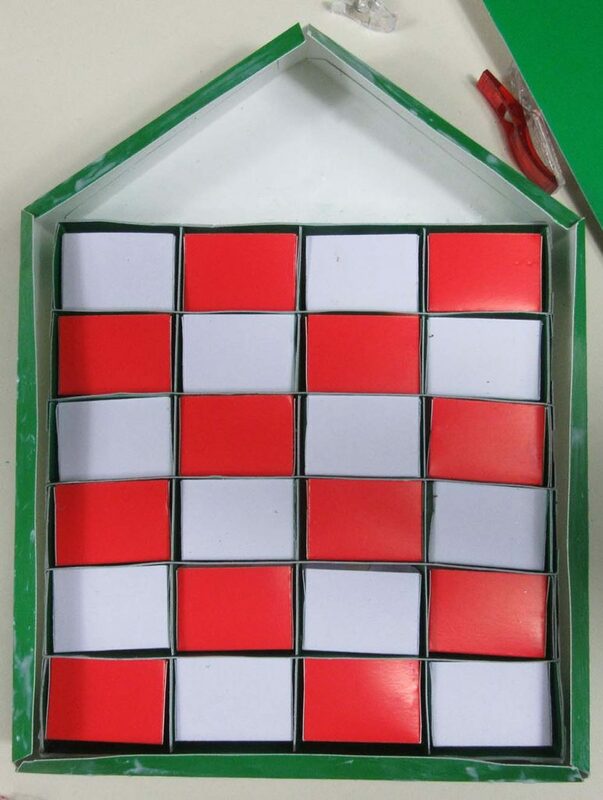 Fold the central four pieces outward so that a square is formed in the centre. Fold down the line inside the fold you’ve just made, so that the ends of the flaps around the square point inwards. Now, let the ends point upwards. These pieces now form the ‘housing’ for your frame. 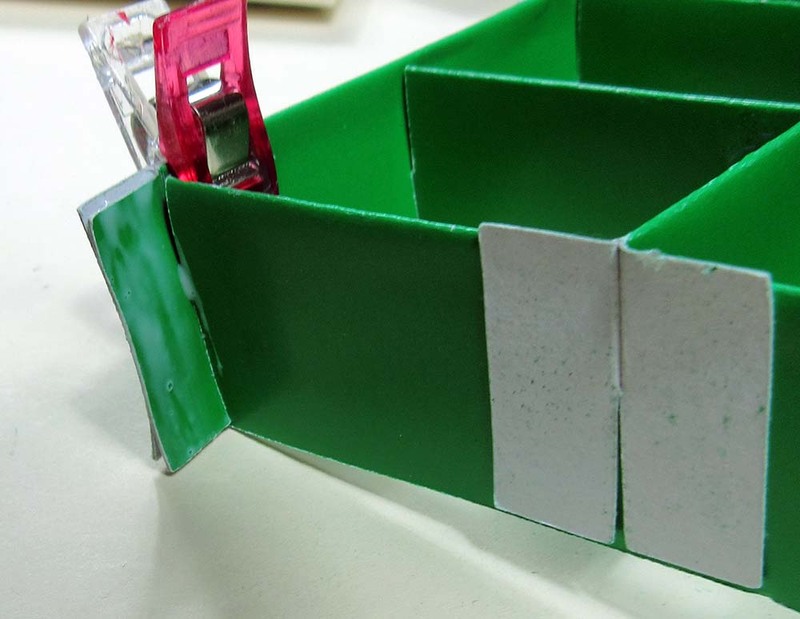 Glue the insides of the flaps and attach them to the sides of the central ‘frame’ piece, one by one. (Hold – by hand or with wonder clips!) Allow to dry. 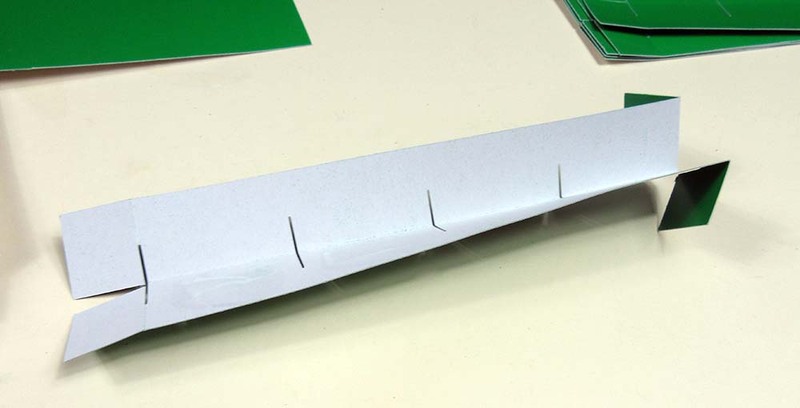 You can now start to fold up the sides and glue them in place. 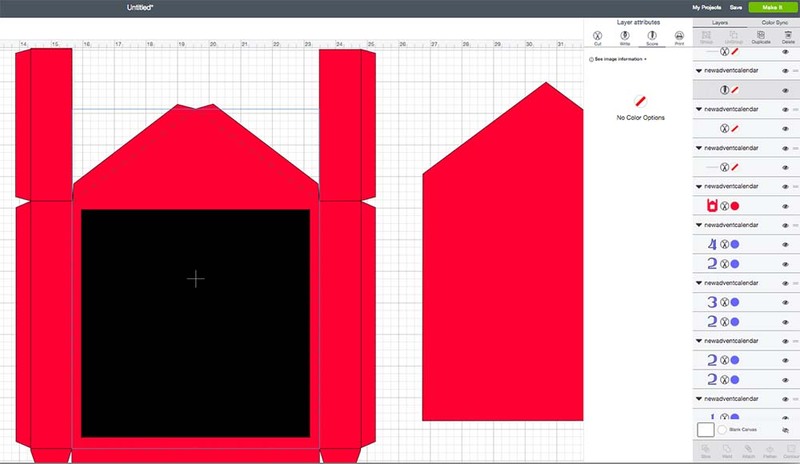 Glue the sloping folds on the front house piece and bring the long side pieces to meet them. Hold (or clip!) into place and then glue the remaining flap. Fold it under and hold (or clip!) until dry. Fold over and glue flaps at bottom. 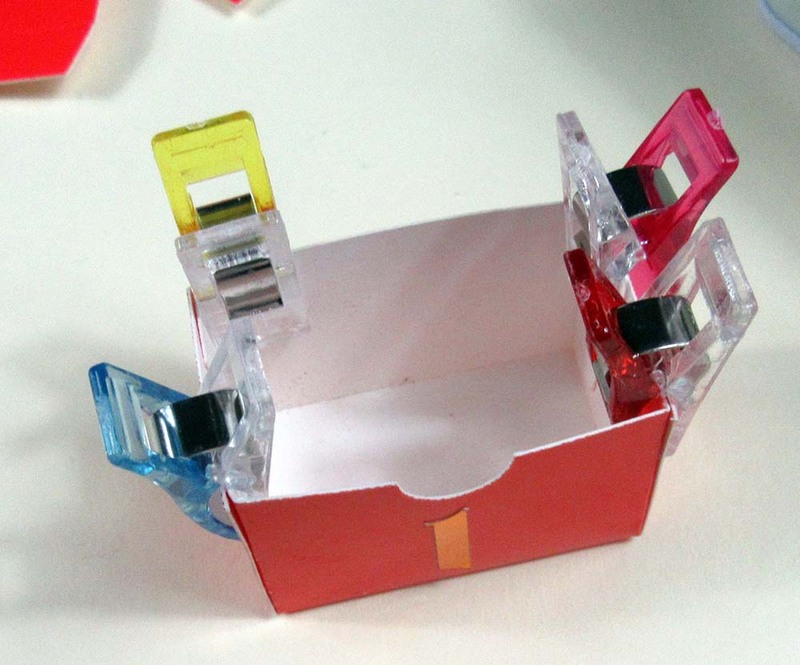 Once dry, you can insert the boxes from the back (though you can do it from the front if you prefer!) Make sure you put them in in the correct order though! 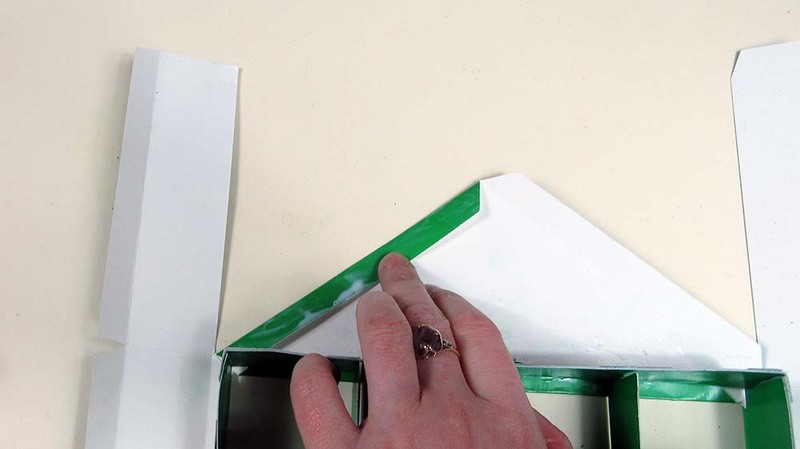 Fold over the flaps around the edge and glue (as shown below). That’s it! If you turn it over it’ll now look something like this! 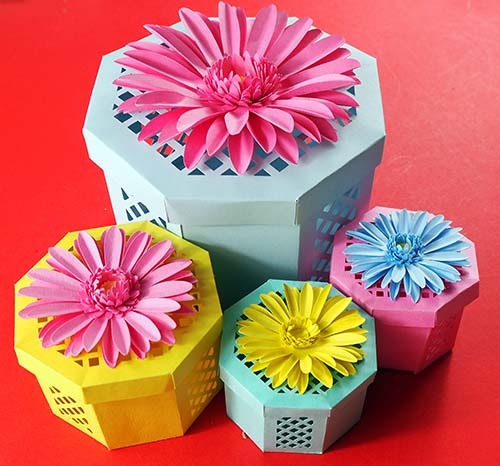 And don’t forget to let us know how you get on making this or our other projects in the CraftAGoGo Crucial Crafting Facebook group!